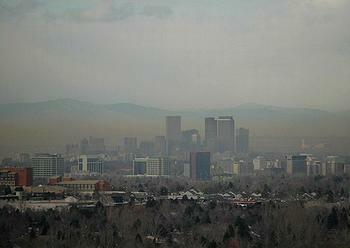 BOULDER, Colorado, May 5, 2014 (ENS) – Americans across the country face a 70 percent increase in unhealthy summertime ozone levels by 2050, find scientists at the National Center for Atmospheric Research in Boulder working with one of the world’s most powerful computers. This is because warmer temperatures, higher atmospheric levels of methane, and other atmospheric impacts of a changing climate, spur chemical reactions that form ground-level ozone. On the other hand, Pfister and her colleagues found that sharp reductions the emission of nitrogen oxides and volatile organic compounds could reduce ozone pollution even as the climate warms. Ground level ozone, a major constituent of atmospheric smog, is not emitted directly, but forms as a result of chemical reactions that take place between nitrogen oxides and volatile organic compounds in the presence of sunlight. These gases, called ozone precursors, come from human activities such as combustion of coal and oil as well as natural sources such as emissions from plants. “Our work confirms that reducing emissions of ozone precursors would have an enormous effect on the air we all breathe,” Pfister said. This detailed research is one of the first studies of its type to be conducted with new, highly advanced geoscience supercomputing capabilities. It will be published online this week in the “Journal of Geophysical Research-Atmospheres,” a journal of the American Geophysical Union. Unlike ozone in the stratosphere, which benefits life on Earth by blocking ultraviolet radiation from the Sun, ground-level ozone can trigger health problems such as asthma, bronchitis, and emphysema. 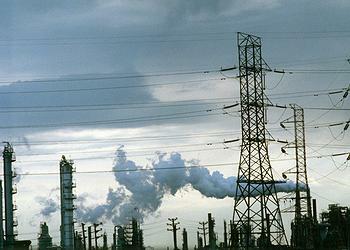 Even short periods of unhealthy ozone levels can cause local death rates to rise. Ozone pollution also damages crops and other plants. 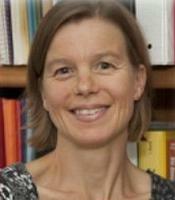 To examine the impacts of climate change on ozone pollution, Pfister and her colleagues looked at two scenarios. In one, emissions of nitrogen oxides and volatile organic compounds from human activities would continue at current levels through 2050. In the other, emissions would be cut by 60-70 percent. Both scenarios assumed continued greenhouse gas emissions with significant warming. The researchers found that, if emissions continue at present-day rates, the number of eight-hour periods in which ozone would exceed 75 parts per billion would jump by 70 percent on average across the United States by 2050. The 75 ppb level over eight hours is the threshold that is considered unhealthy by the U.S. Environmental Protection Agency. The agency is considering tightening the ozone standard to a value between 65 and 70 ppb over eight hours. Overall, the NCAR study found that, 90 percent of the time, ozone levels would range from 30 to 87 ppb in 2050 compared with an estimated 31 to 79 ppb in the present. Although the range itself shifts only slightly, the result is a much larger number of days above the threshold now considered unhealthy, Pfister explained. For the second scenario, emissions of nitrogen oxides and volatile organic compounds would be cut by 60-70 percent. Then, 90 percent of the time, ozone levels would range from 27 to 55 ppb. The number of instances when ozone pollution would exceed the unhealthy level of 75 ppb dropped to less than one percent of current cases. Ozone levels increase with with climate change for three main reasons, the NCAR scientists explain. First, chemical reactions in the atmosphere that produce ozone occur more rapidly at higher temperatures. In addition, plants emit more volatile organic compounds at higher temperatures, which can increase ozone formation if mixed with pollutants from human sources. Also, methane, which is increasing in the atmosphere, contributes to increased ozone globally and will enhance baseline levels of surface ozone across the United States. The new study was among the first conducted on the new 1.5 petaflops Yellowstone supercomputer. This IBM system, operated by NCAR and supported by funding from the National Science Foundation and the University of Wyoming, is one of the world’s most powerful computers dedicated to research in the atmospheric and related sciences. With this level of computing power, the scientists were able to simulate pollution levels hour by hour for 39 hypothetical summers. This allowed the team to account for year-to-year variations in meteorological conditions, such as hot and dry vs. cool and wet. They were able to get a more detailed and statistically significant picture of future pollution levels than ever before. To simulate the interplay of global climate with regional pollution conditions, the scientists turned to two of the world’s leading atmospheric models, both based at NCAR and developed through broad collaborations with the atmospheric science community. They used the Community Earth System Model, funded primarily by the Department of Energy and National Science Foundation, to simulate global climate as well as atmospheric chemistry conditions. They also used an air chemistry version of the multiagency Weather Research and Forecasting model to obtain a more detailed picture of regional ozone levels. Even with Yellowstone’s advanced computing speed, it took months to complete the complex simulations.